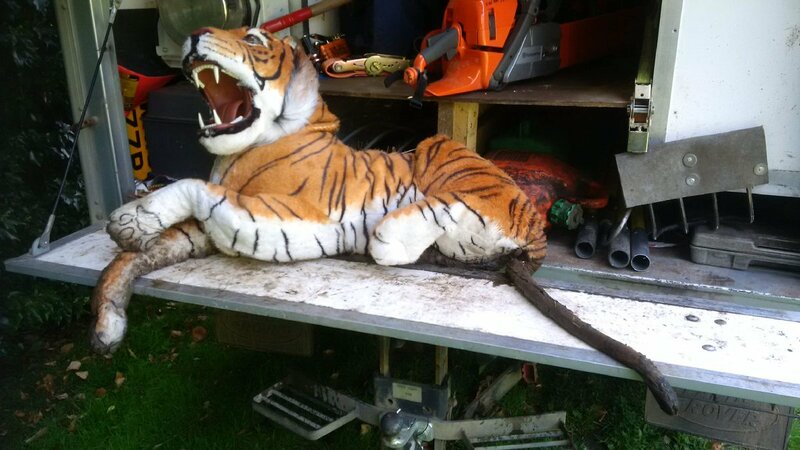 The Environment Agency have pulled a model tiger from the River Tutt whilst removing obstructions from the water. Derbyshire Police are appealing for witnesses following a collision between a motorbike and a young boy in Staveley. The incident happened before 4pm on Saturday 23rd April on the A619 Lowgates. The victim was seriously injured and was taken to Sheffield Children's Hospital, where he remains. The biker was taken to Northern General Hospital in Sheffield where his injuries are not thought to be life threatening. There is further evidence of a potential cancer cluster among former workers at the Staveley Chemicals plant near Chesterfiel. A family have made a tongue-in-cheek promotional video in a bid to sell their house in Staveley, near Chesterfield. Former England International Carlton Palmer has signed to play for Staveley MWFC....for one game! The 48-year-old will be appearing for the club as part of a charity fundraising event. They hope to raise £1000 for The Cavendish Centre, a charity dedicated to improving the quality of life for people with cancer.